A U.S policy that imposes anti-abortion restrictions against the use of global health assistance prevents U.S agencies and other U.S institutions from funding organizations that provide abortion services or related information. This policy which was initiated by President Ronald Reagan in 1984 was first invoked by the George W. Bush administration in 2001 and later by President Donald Trump in his first weeks of his administration. Since 1984, the US Republican Governments have argued that the gag rule aims at reducing cases of abortion but results of studies in this policy prove otherwise. 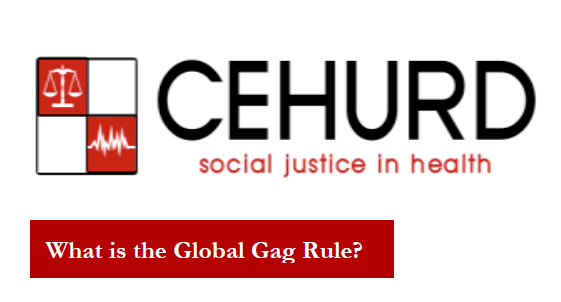 FIND HERE THE FULL FACT SHEET of the The Global Gag Rule and its Impact on Sexual and Reproductive Health in Uganda.